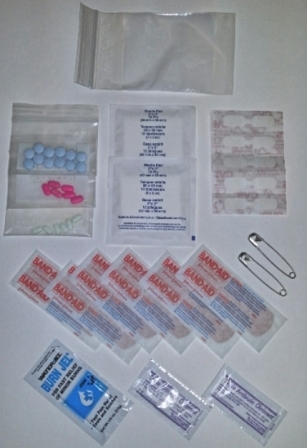 Bulldog’s Solo Kit (includes small ziplok bags): 0.94 oz. * Does not include any prescription medications. * Weights for knife, lighter, whistle, compass/thermometer, & paracord bracelet are not included in the above. These items are either worn or carried in pants pockets.